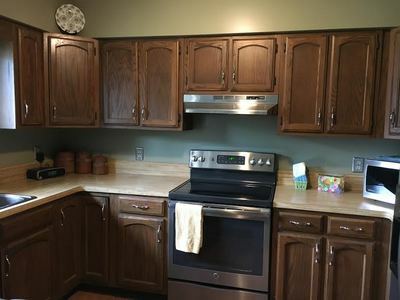 Painting kitchen cabinets is a quick, fast and inexpensive way to dramatically update your kitchen. 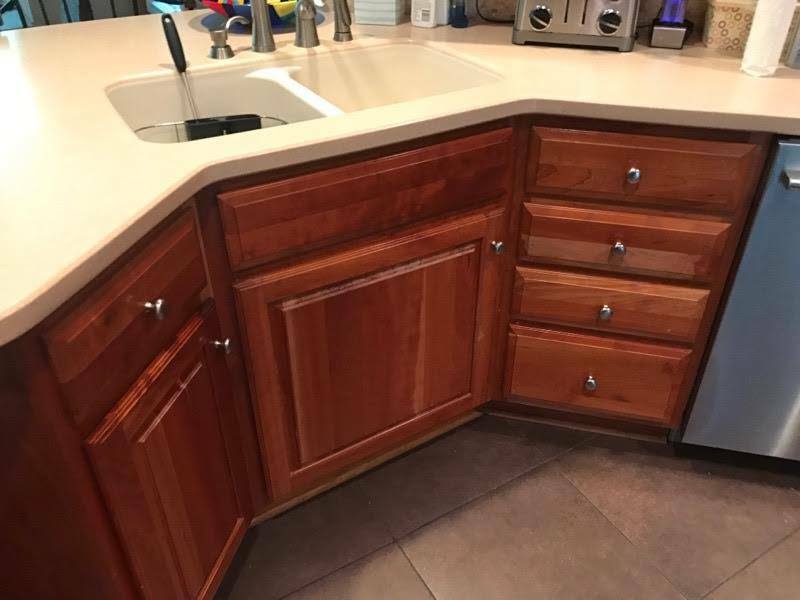 We come in to remove then clean, sand and thoroughly prep your cabinets doors and drawers in our shop. 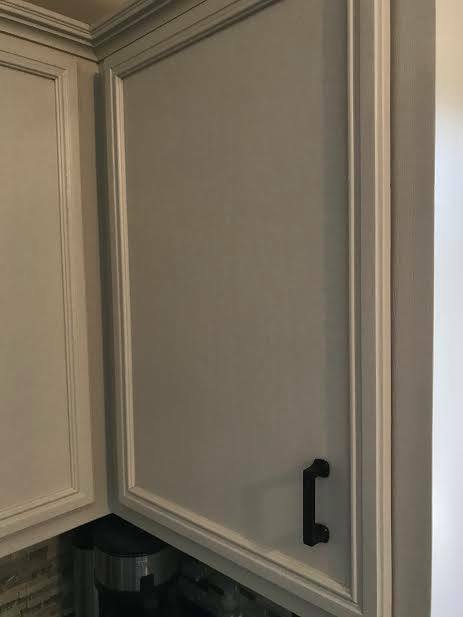 Once they are ready we professionally spray a substantial coat of primer followed by an extremely durable and professional grade lacquer. We then clean and prep and coat your cabinets right where they are without spraying. 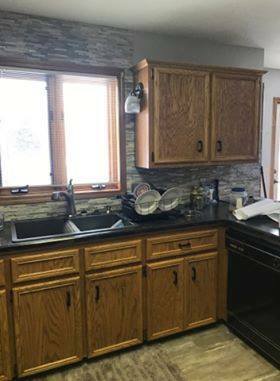 You will love the finished product. 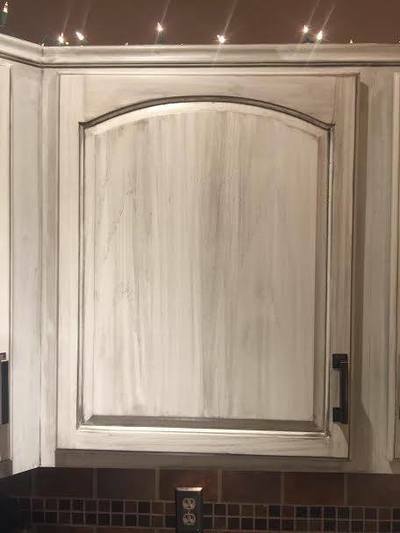 Lacquer is a sprayed on finish so your cabinets will look like they just came from the factory. 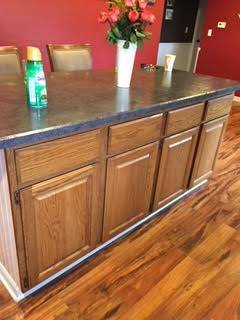 The finish is very durable, very scrubbable!! 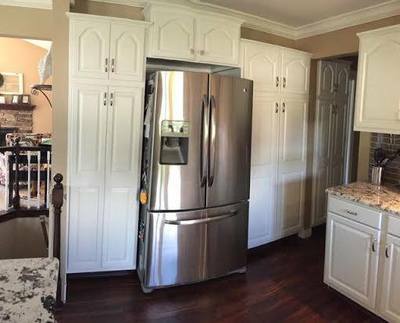 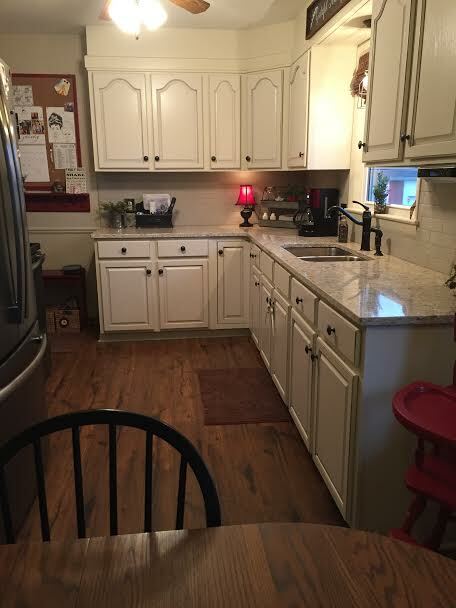 Oak kitchen cabinets refinished in Benjamin Moore white dove, switched to hidden hinges plus new updated hardware!! Kitchen refinishing with an all-over glaze-Base color white dove, rich chocolate glaze on top! 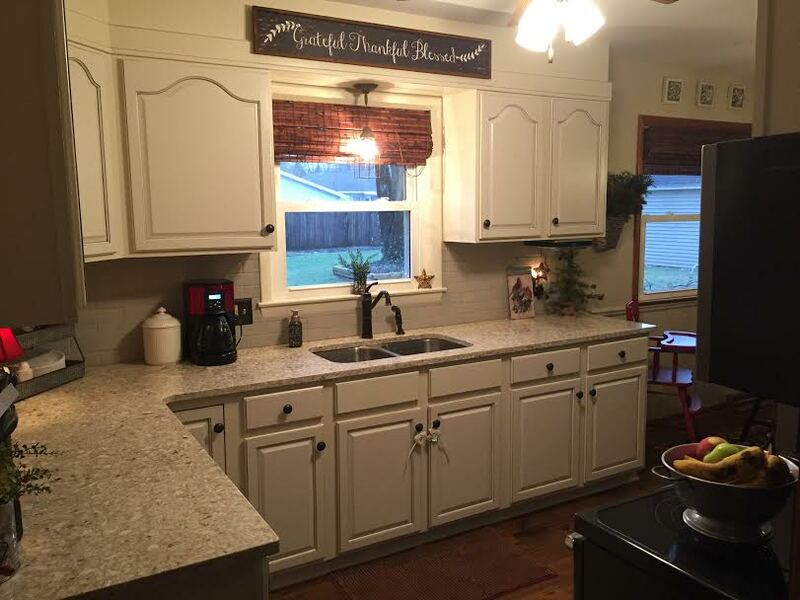 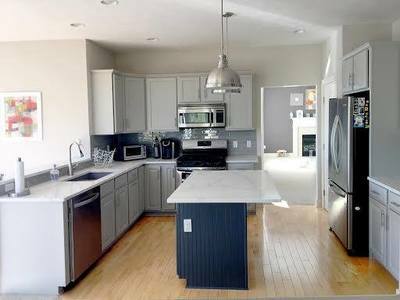 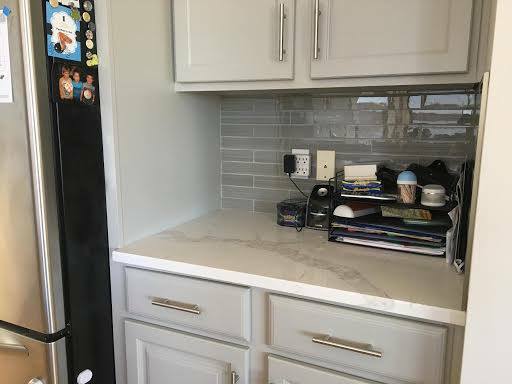 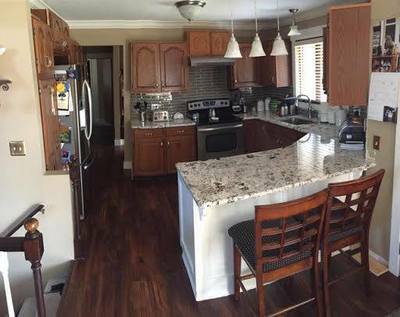 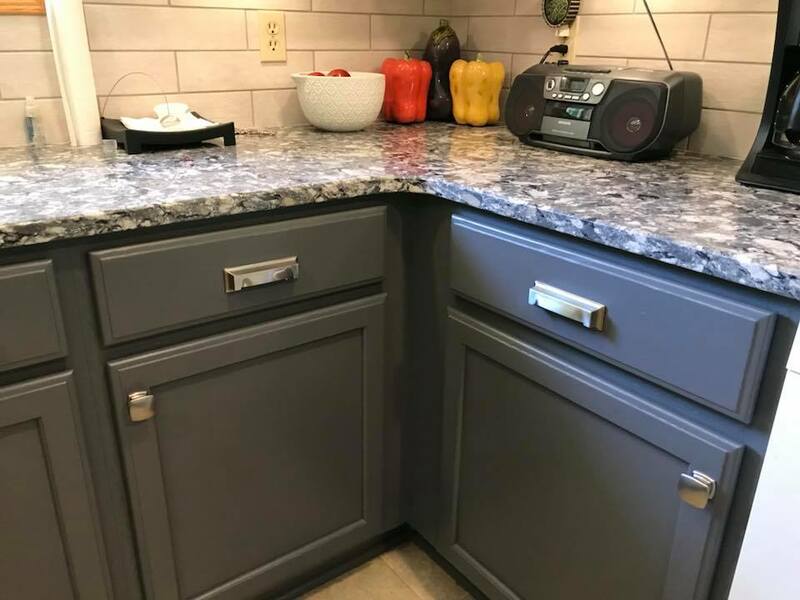 Kitchen Refinishing-make your counters pop! 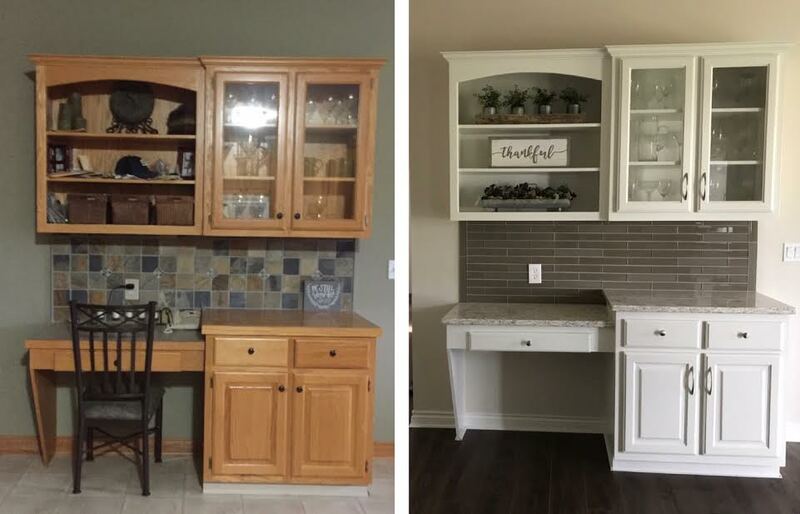 Out with the oak, in with the fresh!! 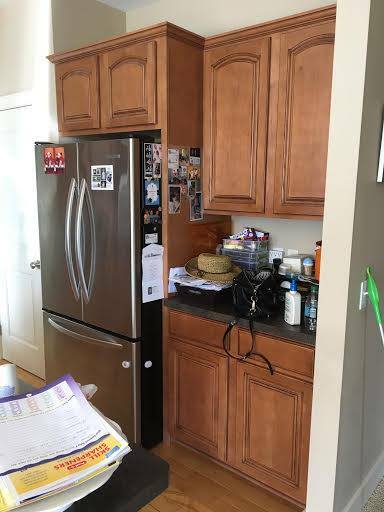 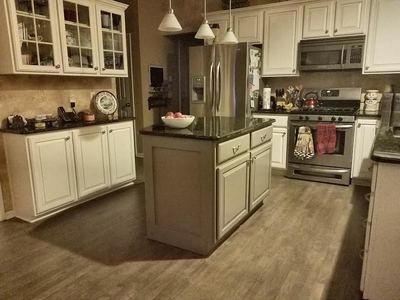 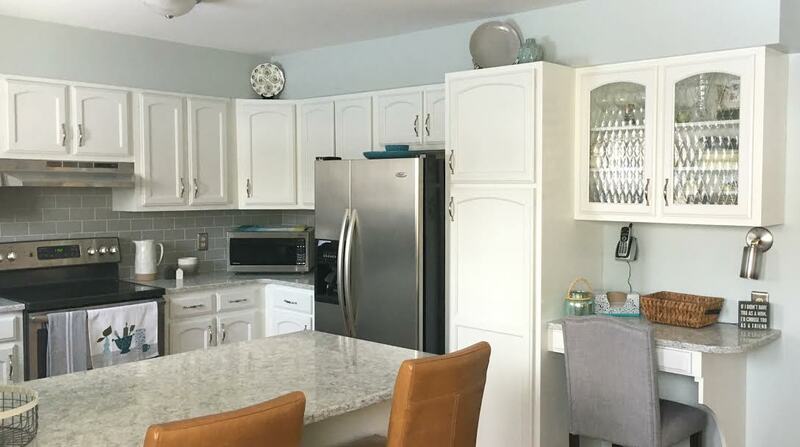 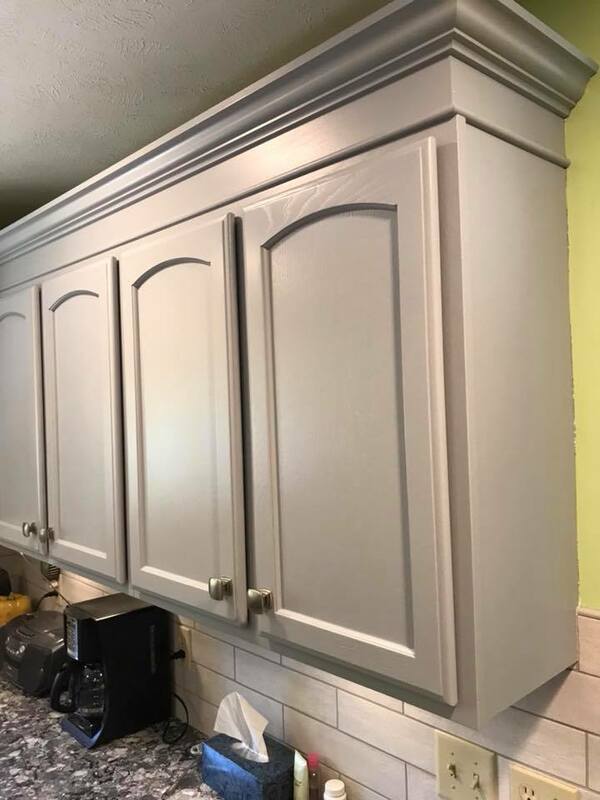 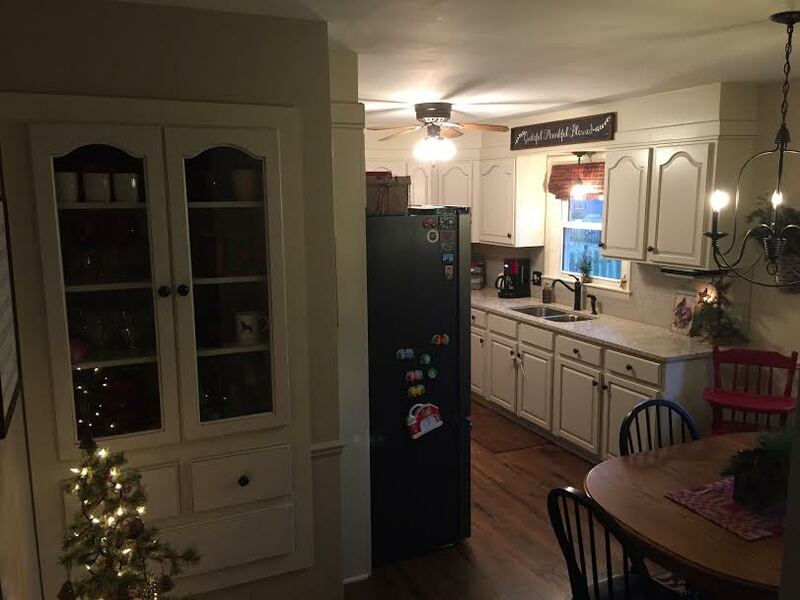 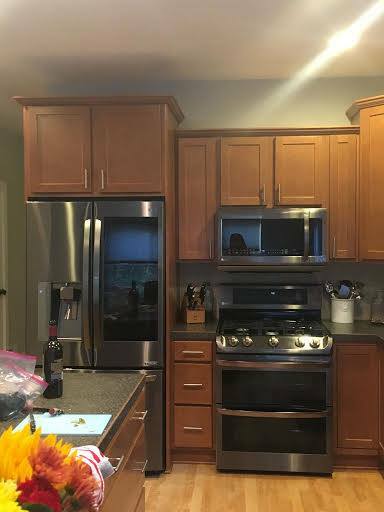 Kitchen Refinishing-no more orangy color, updated with Benjamin Moore greige color! 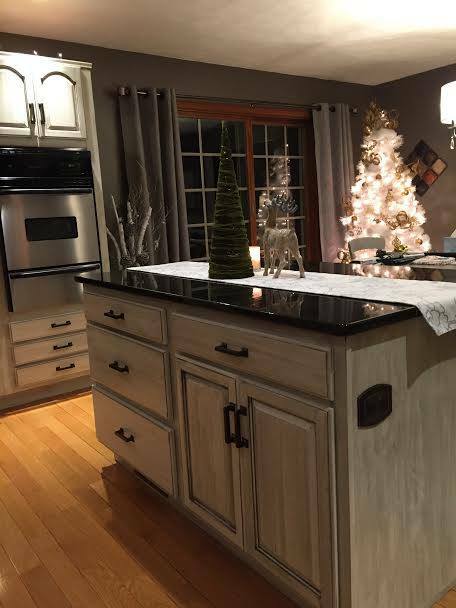 Kitchen Refinishing-great gift idea for Christmas or birthday. 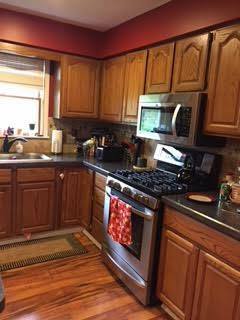 Professionally refinished kitchen cabinets-can't beat a sprayed lacquer finish!! 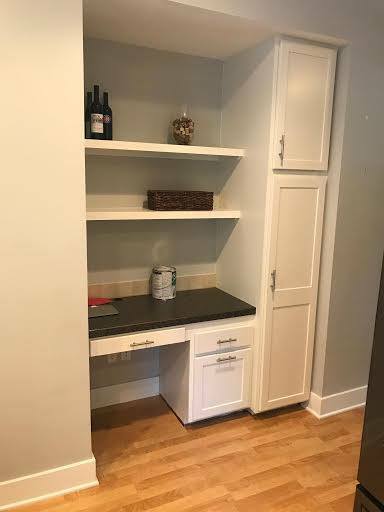 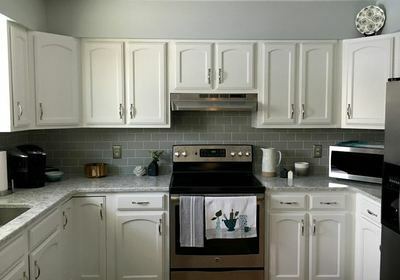 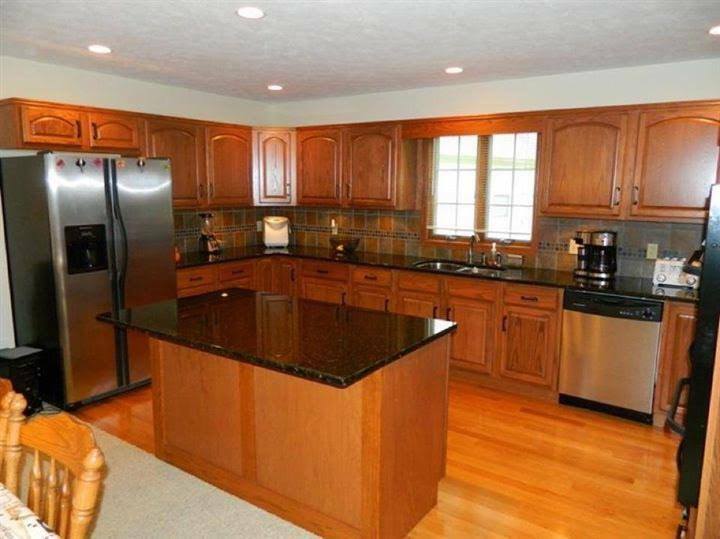 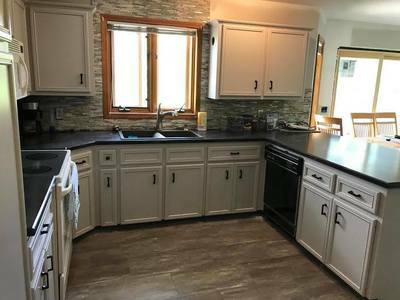 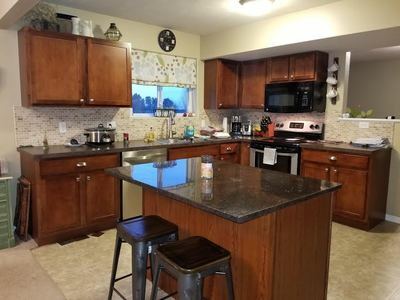 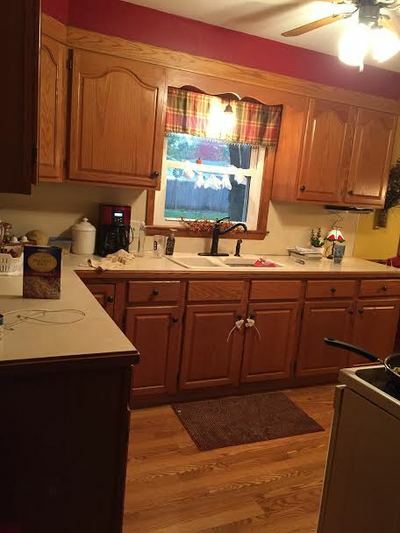 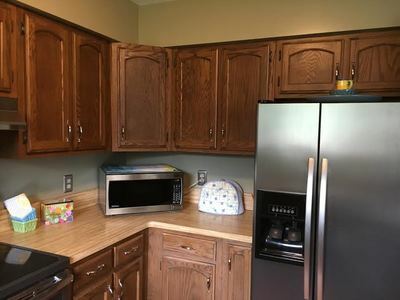 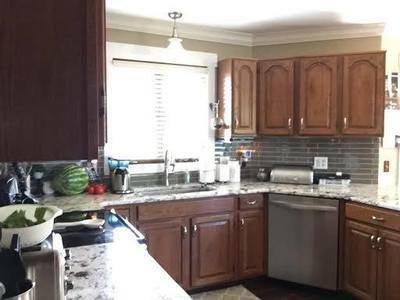 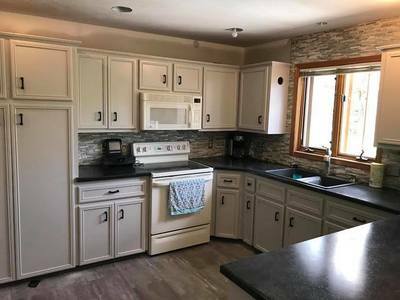 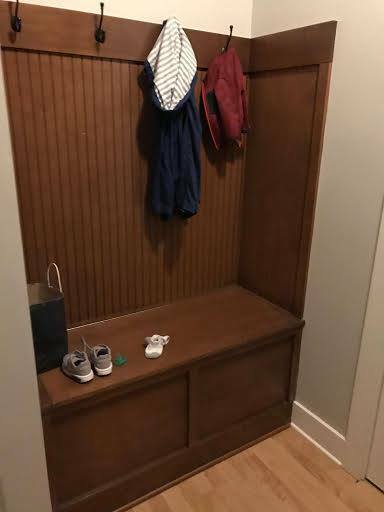 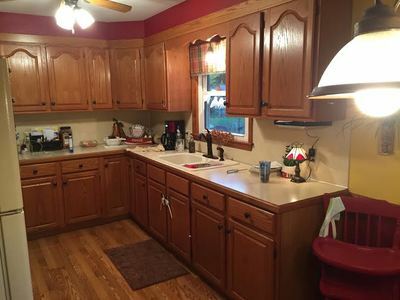 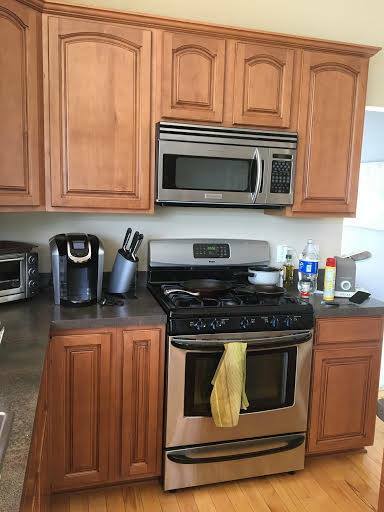 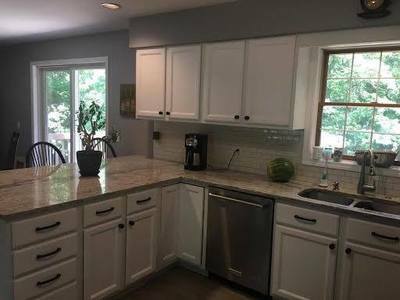 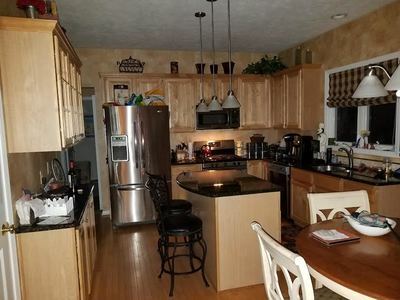 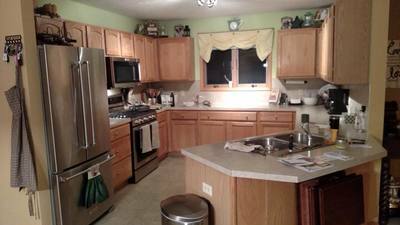 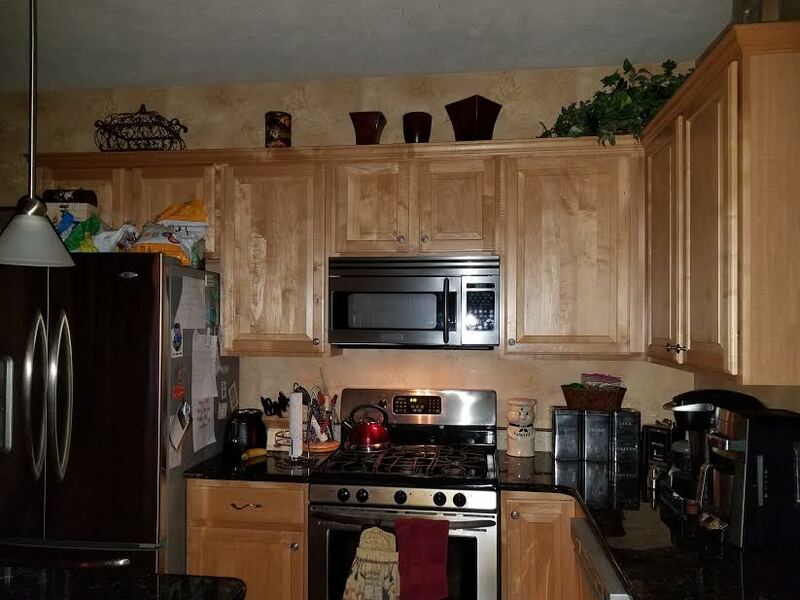 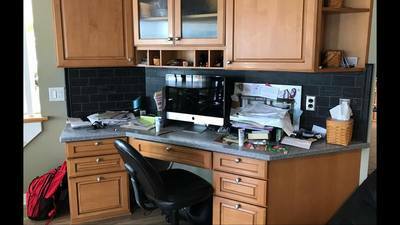 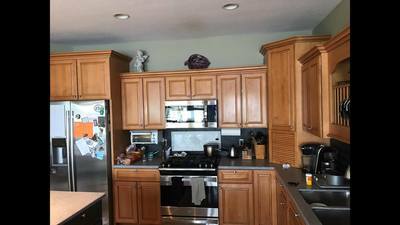 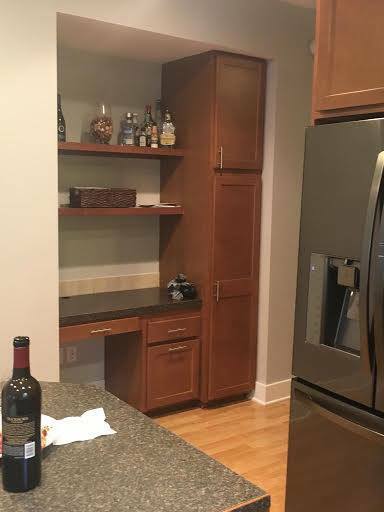 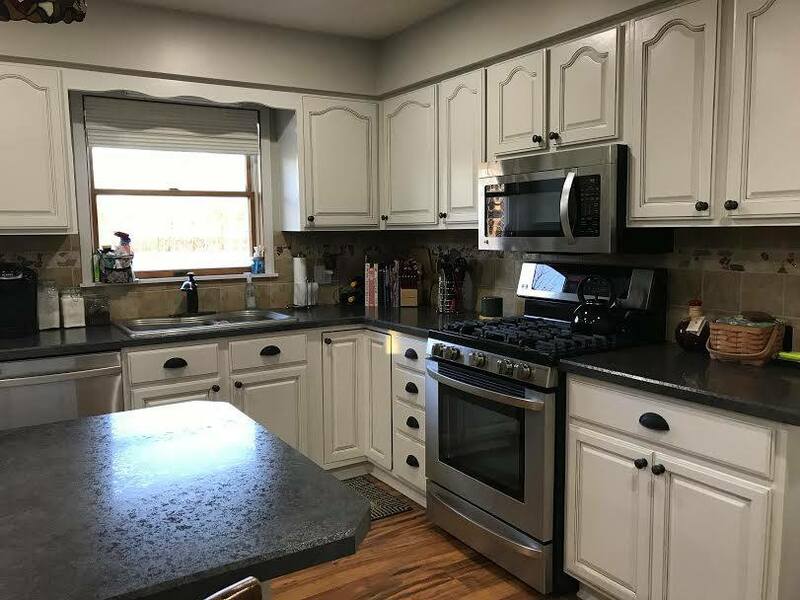 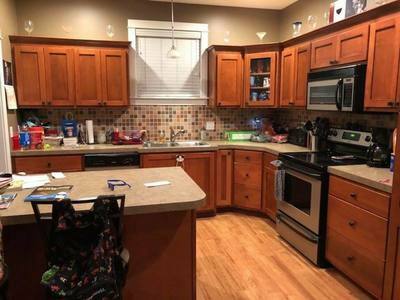 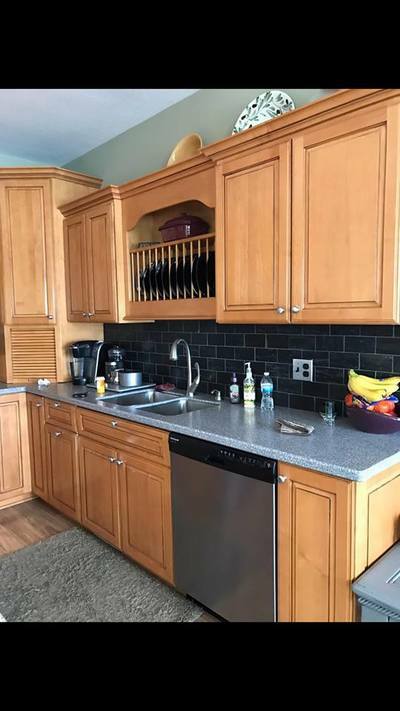 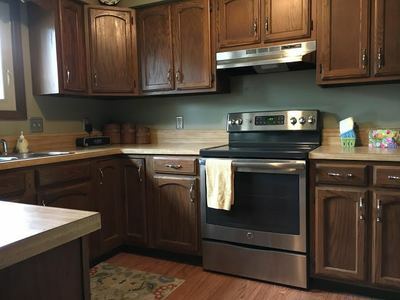 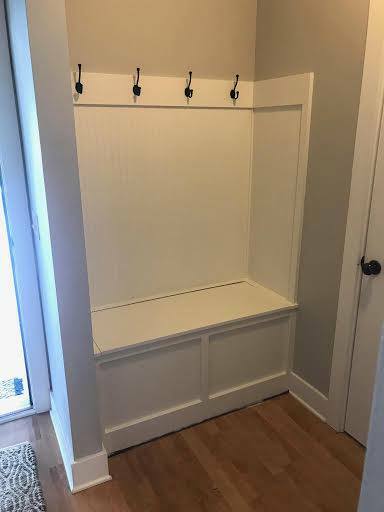 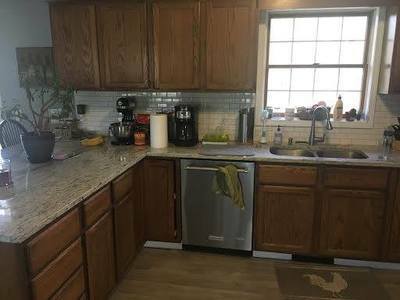 Dated kitchen cabinets or UPdated kitchen cabinets. 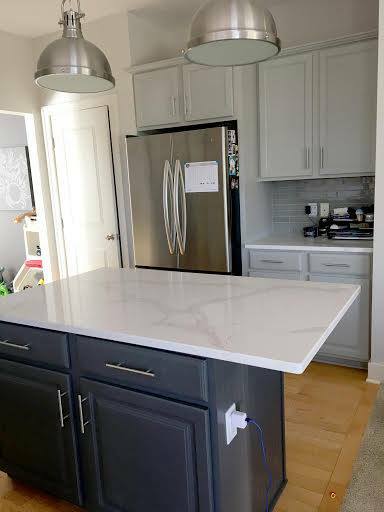 Fresh color and sharp hardware!! 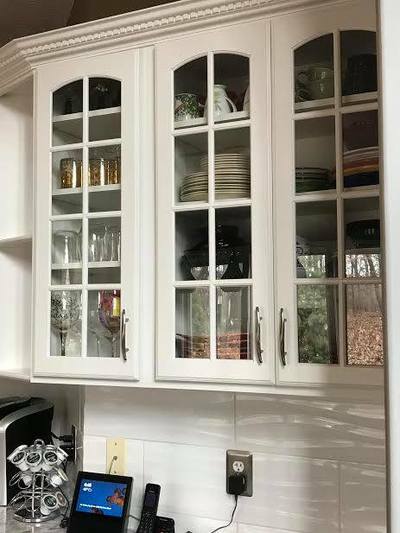 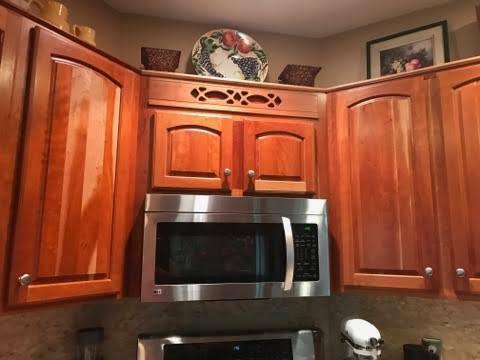 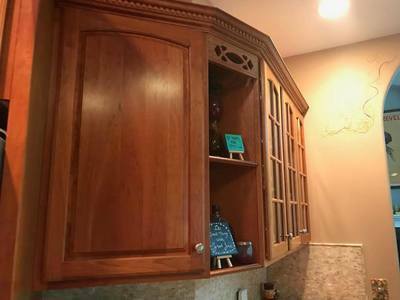 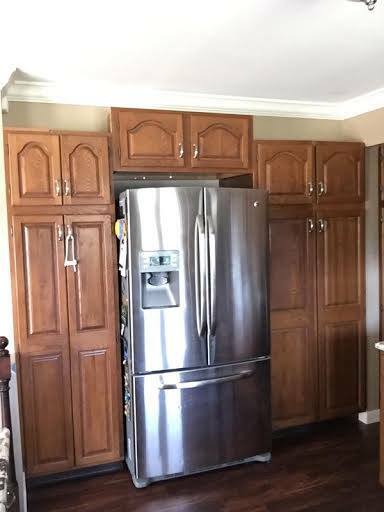 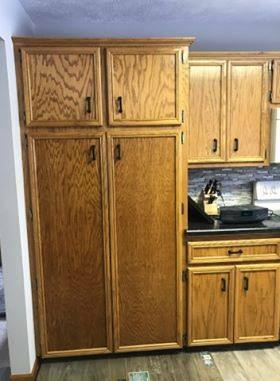 Kitchen cabinet refinishing done right!! 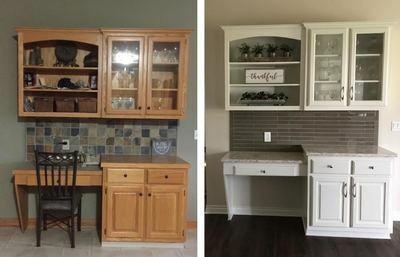 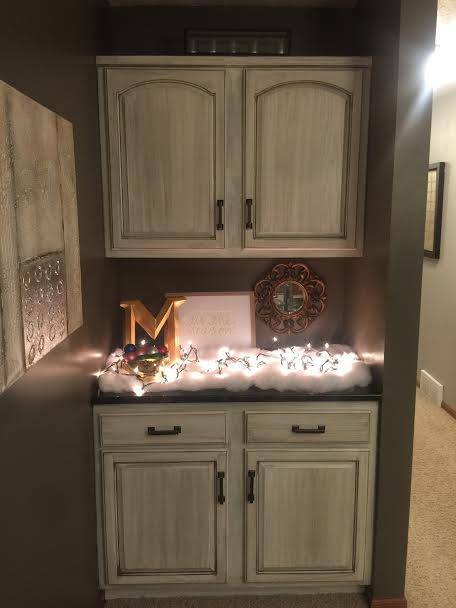 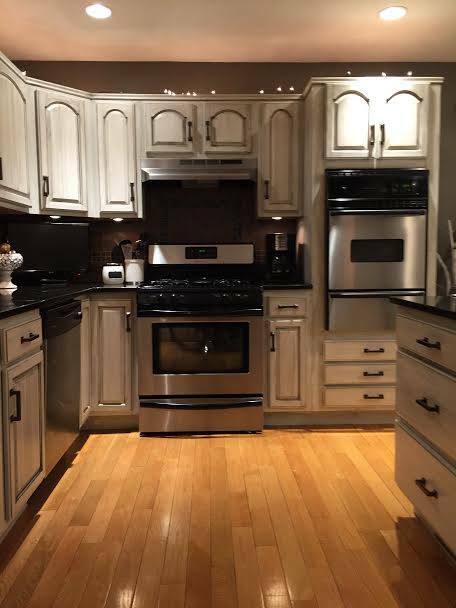 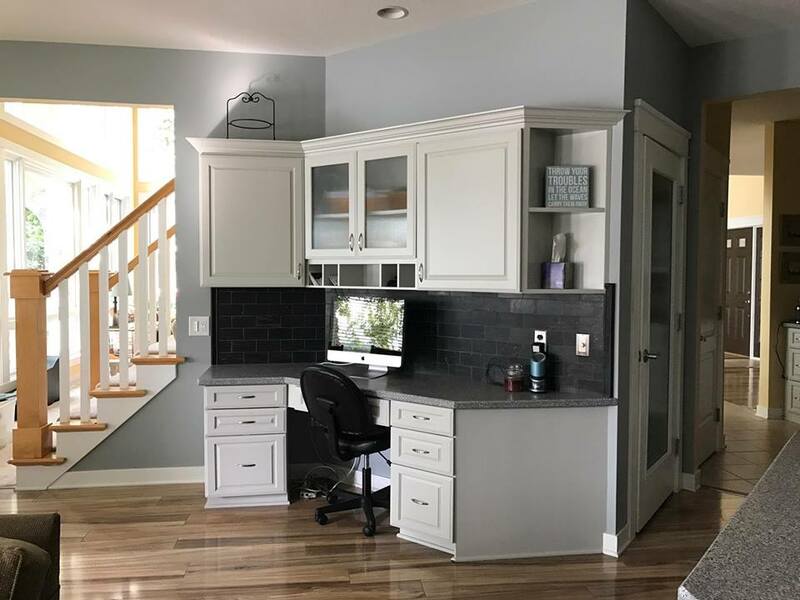 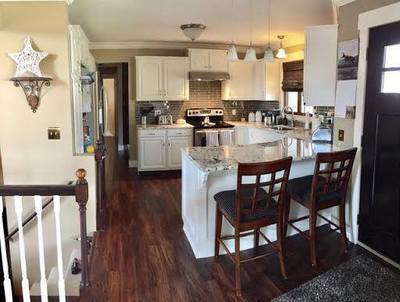 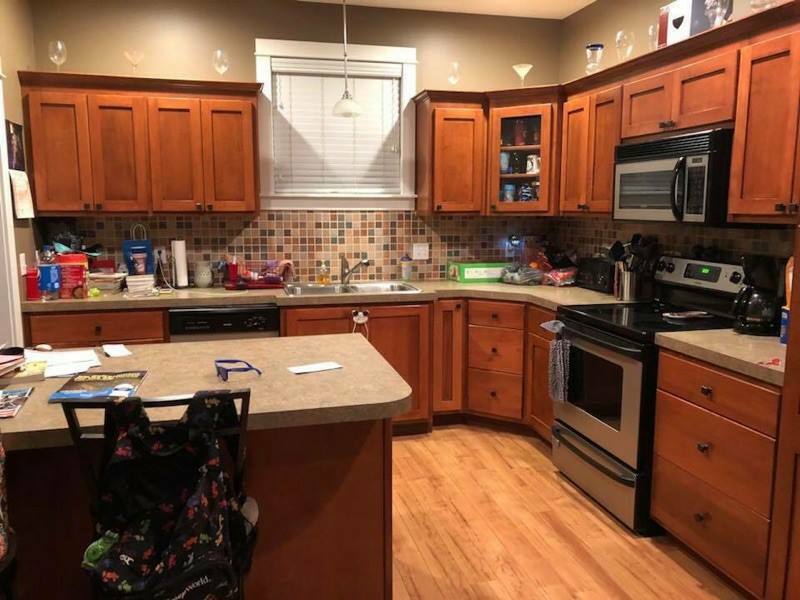 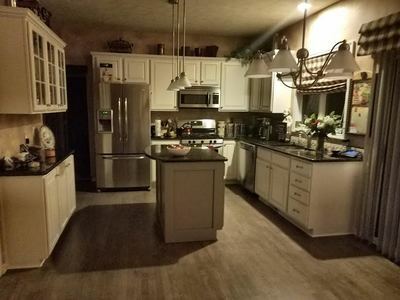 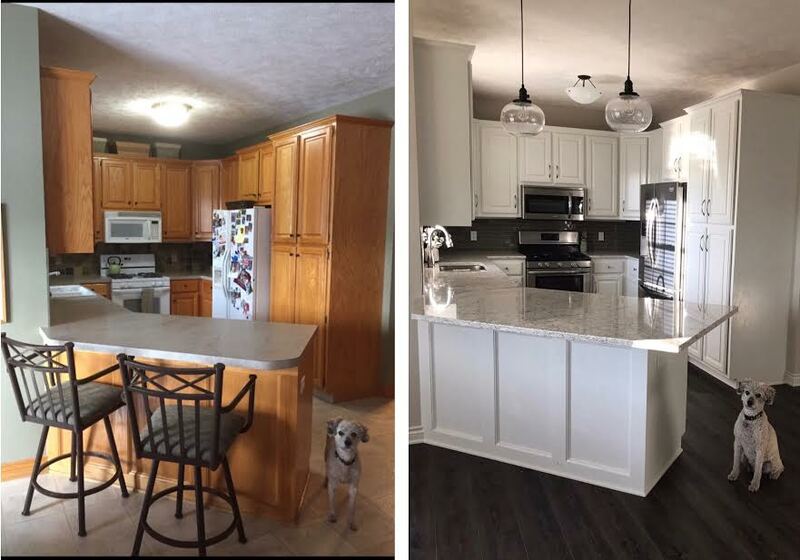 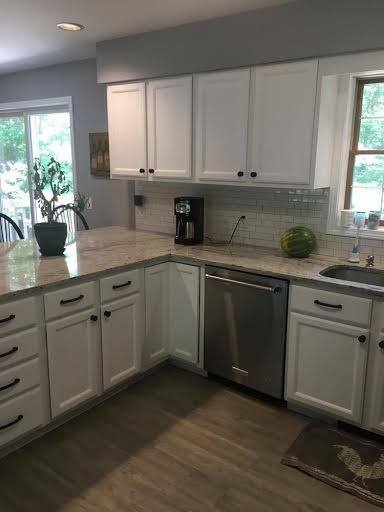 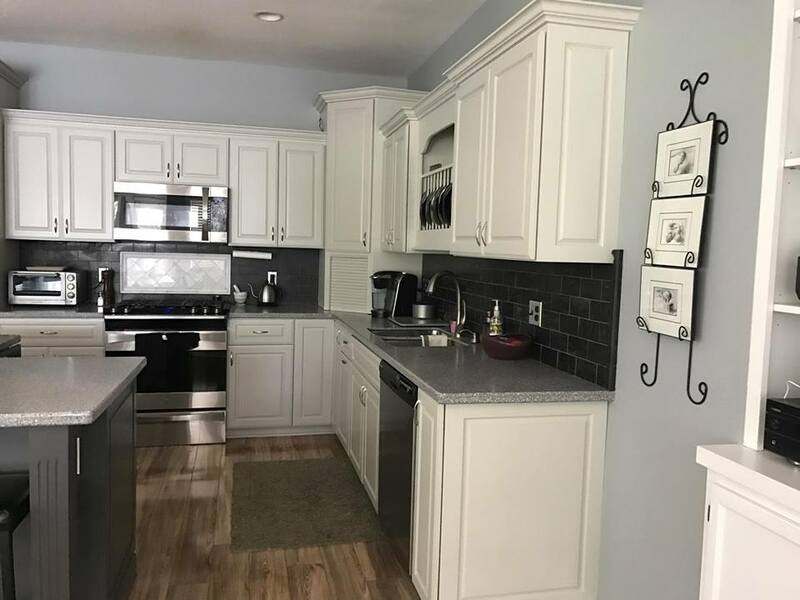 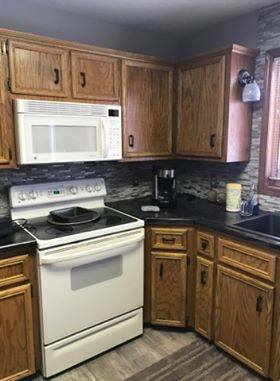 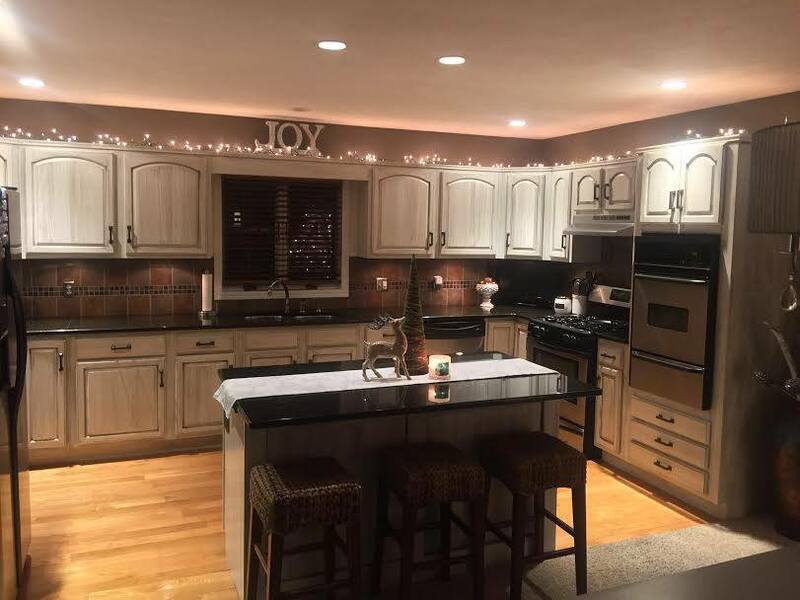 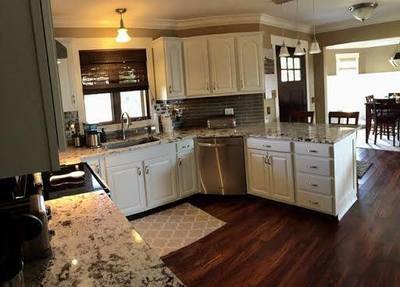 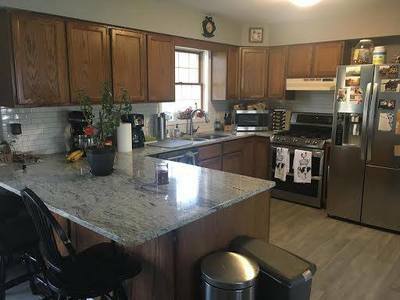 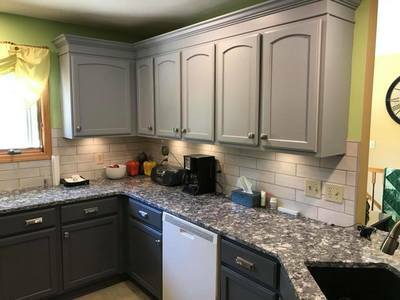 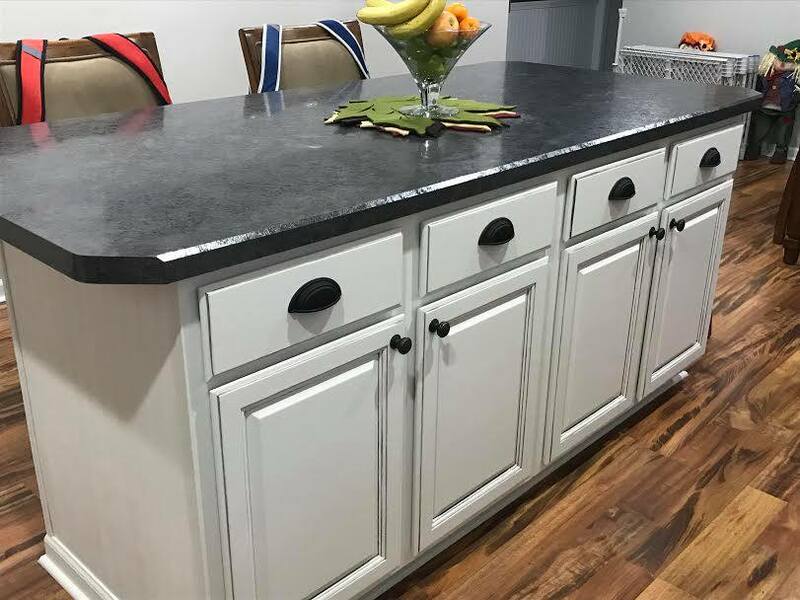 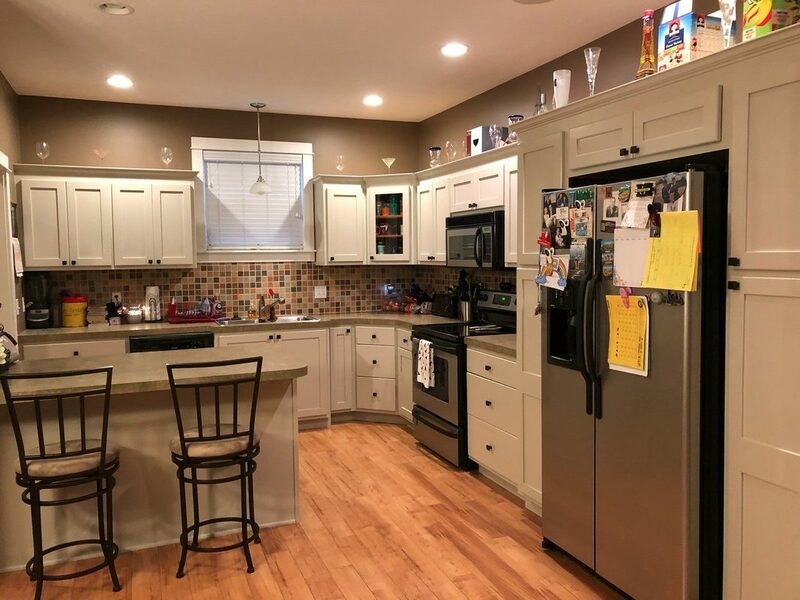 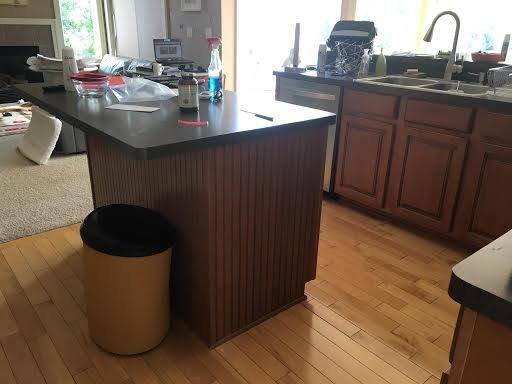 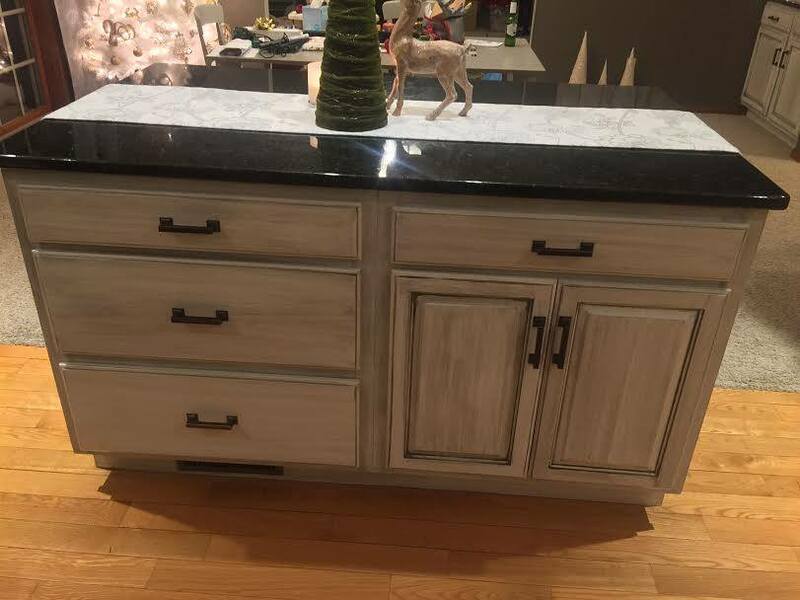 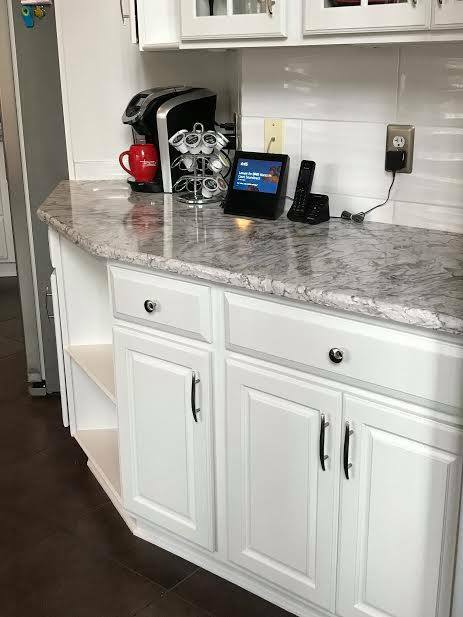 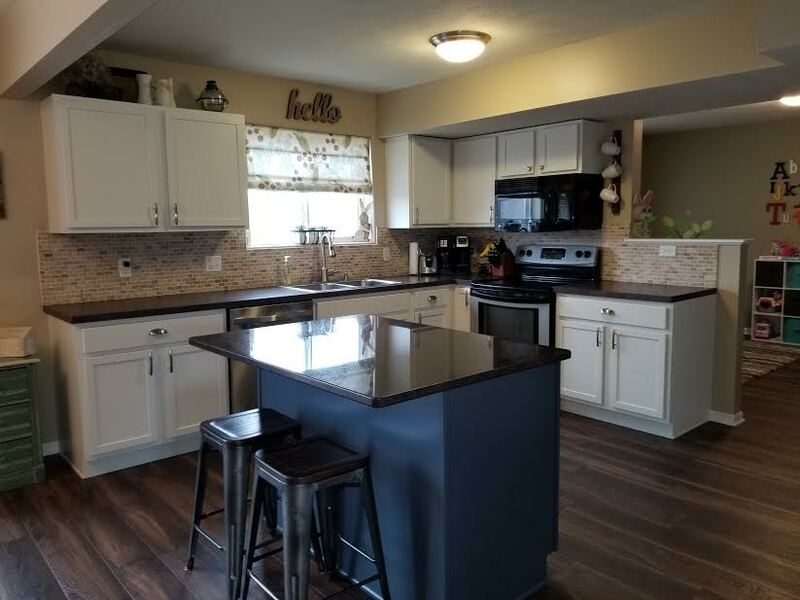 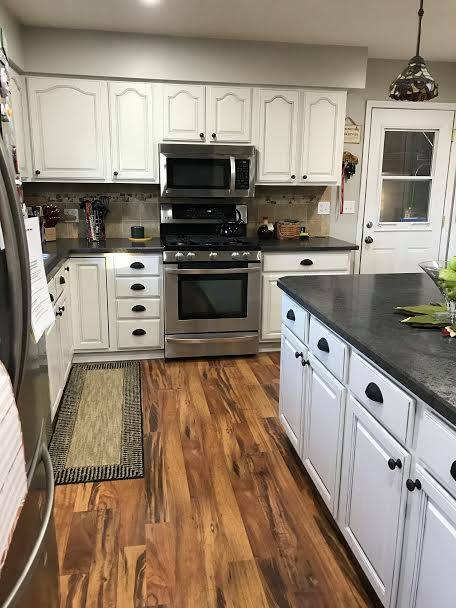 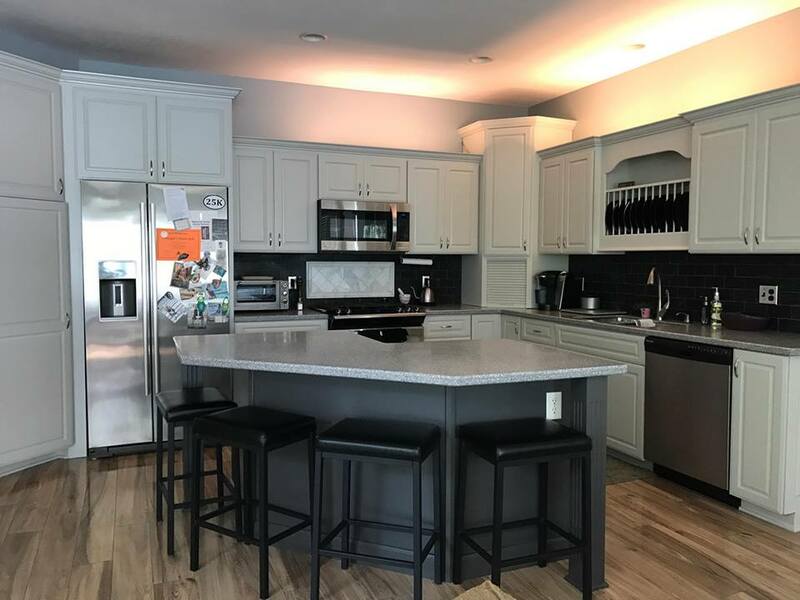 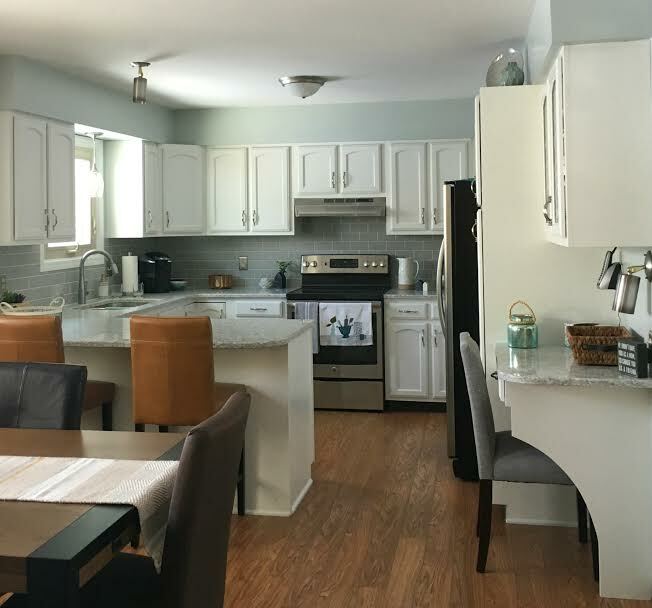 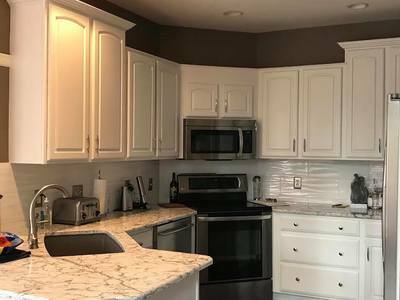 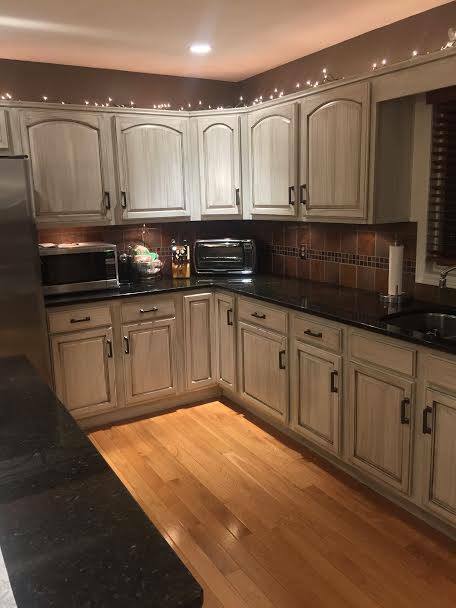 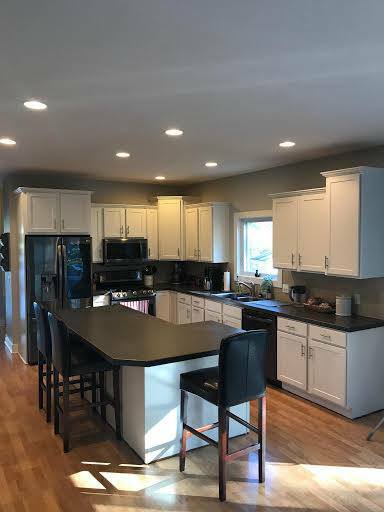 Shelly's Kitchens & Designs, proudly refinishing kitchens in Grand Rapids, Jenison, Hudsonville, Zeeland, Allendale, Holland, Grand Haven, Spring Lake, Muskegon, Grandville, Wyoming, Kentwood, Ada, Cascade, Rockford, and more.